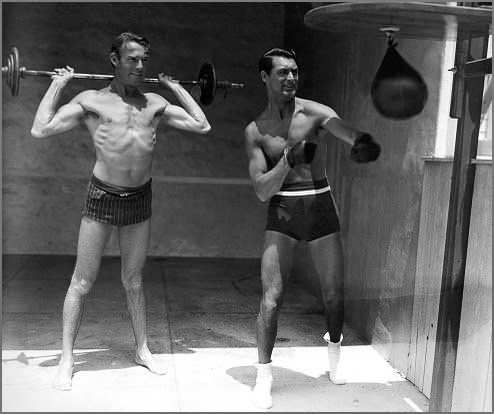 Cary Grant's 'friendship' with the devastatingly handsome Randolph Scott was remarkably open and fairly candid in the dangerously oppressed 1930s.There were several photo shoots for the fan magazines of the two 'merry bachelors,' who for several years shared a beach house in Santa Monica, as well as a mansion in the Los Feliz area of Los Angeles, which was commonly referred to in the press as 'Bachelor Hall,' both before, during, and after their seven marriages to women they had seven between them. 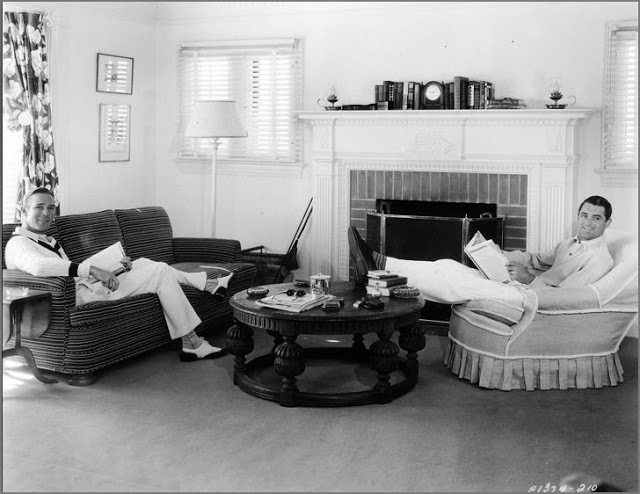 The photos included in this article, are just a few of the many that exist, where it so perfectly clear that they were much more than just 'roommates.' It's obvious that they shared a great love and were just about the most physically gorgeous couple in Hollywood history." 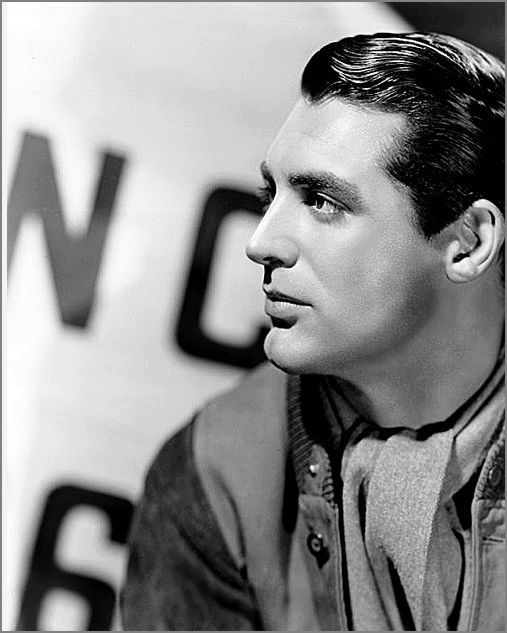 Cary Grant was born January 18, 1904 in Bristol, England with the unfortunate name of Archibald Leach. When Archie was only 9, his father put Archie’s mother in a mental hospital, remarried and then abandoned Archie to the care of the state. He died November 29, 1986 at the age of 82 in Daventport, Iowa. 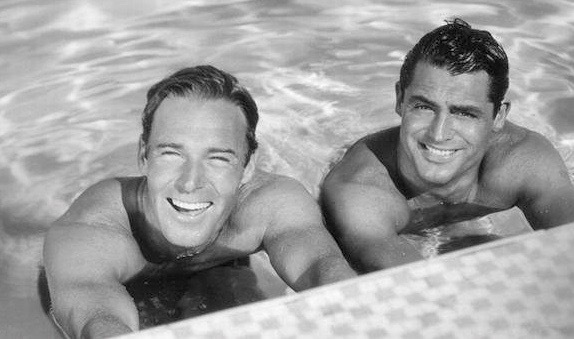 Randolph Scott was born January 23, 1898 in Orange County, Virginia and died March 2nd, 1987 at the age of 89 in Beverly Hills, California. By the age of 14 he was expelled from school and joined a traveling vaudeville show as a stilt-walker. At the age of 16, he left England for a two year tour of the American vaudeville circuit with his British troupe. Soon he was working with an American troupe in St. Louis where he mastered acrobatics, mime and juggling. 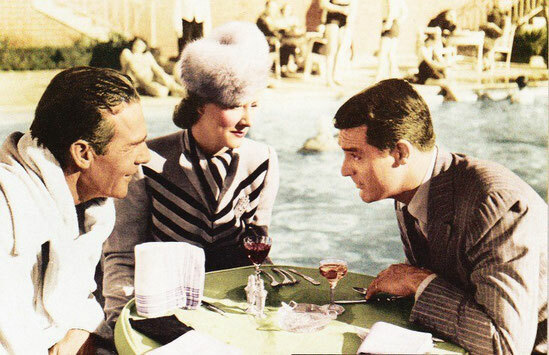 After a stint on Broadway, Archie moved to west to California and soon signed a contract with Paramount Studios under his new name of Cary Grant. In spite of his poor background and his vaudeville past, he would constantly be cast as a wealthy sophisticate. 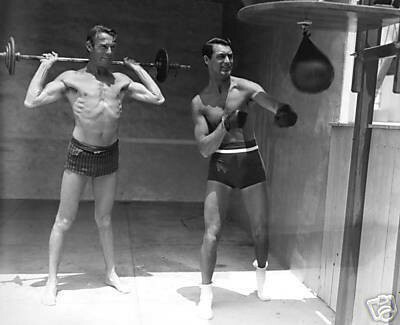 George Randolph Scott’s early years were almost the exact opposite of Cary Grant’s. George was born in 1898 to a well off family. As a child growing up in Virginia, he lived a life of privilege. 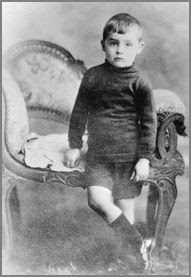 George’s parents made sure that he attended the best private schools and that he had a happy and care free childhood. After serving in World War I, going to college and a brief stint in the family business; George eventually decided on a career in acting. 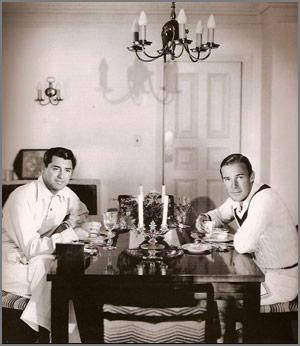 George’s father knew Howard Hughes, who was making films at that time, and arranged an introduction for his son. 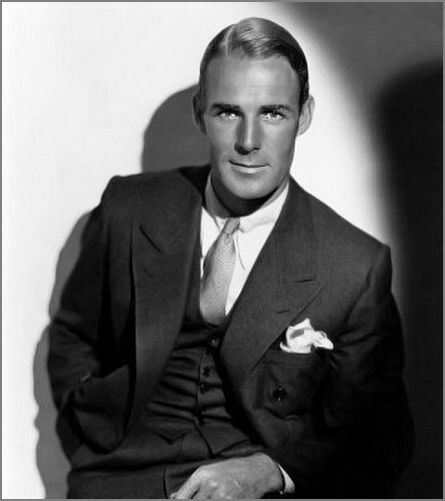 Soon known as Randolph Scott, he was only getting bit parts and was little more than window dressing. 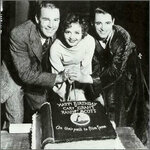 On the advice of director Cecil B. Demille, Scott gained some much needed acting experience by performing in local productions at the Pasadena Playhouse. The work paid off and soon he was landing larger roles. 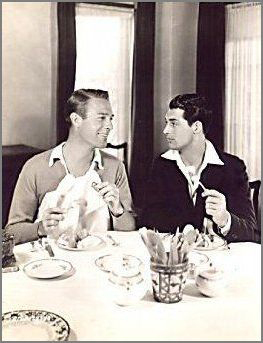 Cary and Randolph met on the set of the 1932 movie, “Hot Saturday.” The attraction was mutual and they quickly began spending all of their free time together. 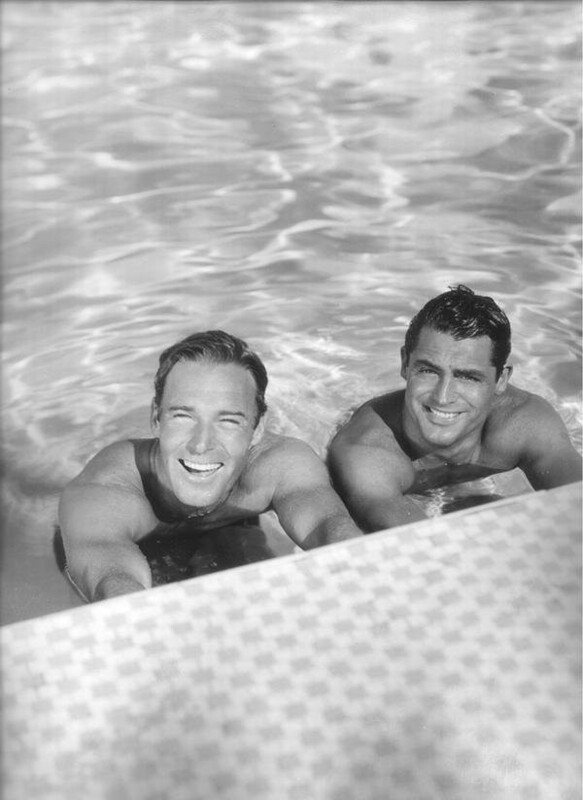 Their friends from that period said that the two handsome young actors lived together openly and began traveling in Hollywood’s gay social circles.A few years before, Cary Grant had lived openly with gay Hollywood designer, Orry-Kelly. 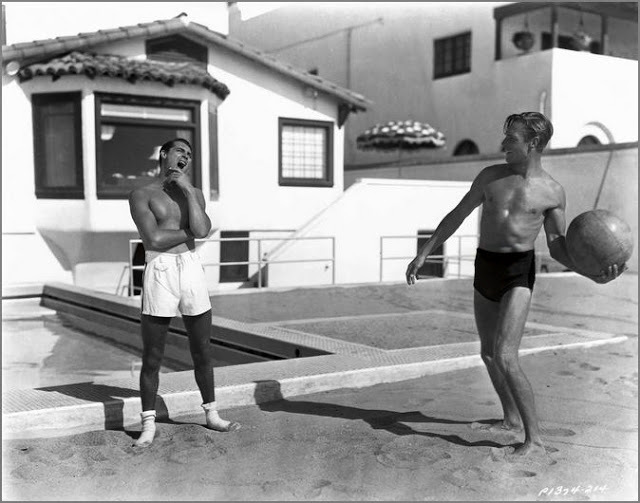 Cary and Randolph shared a Santa Monica beach house as well as a mansion in Los Feliz at 2177 West Live Oak Drive. 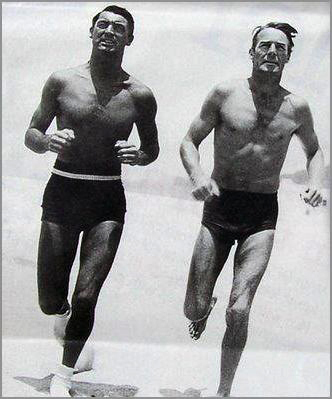 They would live together for a total of 11 years, longer than most Hollywood marriages. 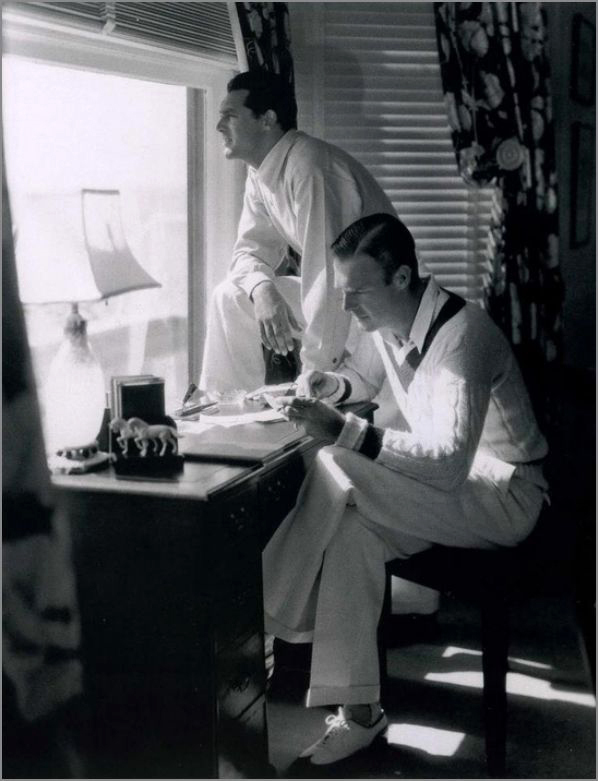 A closeted gay journalist named Ben Maddox wrote a profile of the two bachelors for Modern Screen in 1933. 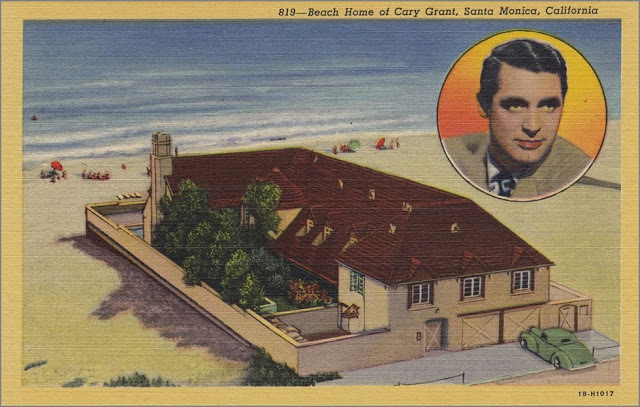 The photos show Cary Grant and Randolph Randolph sharing house and living a very cozy and domestic life at the beach. 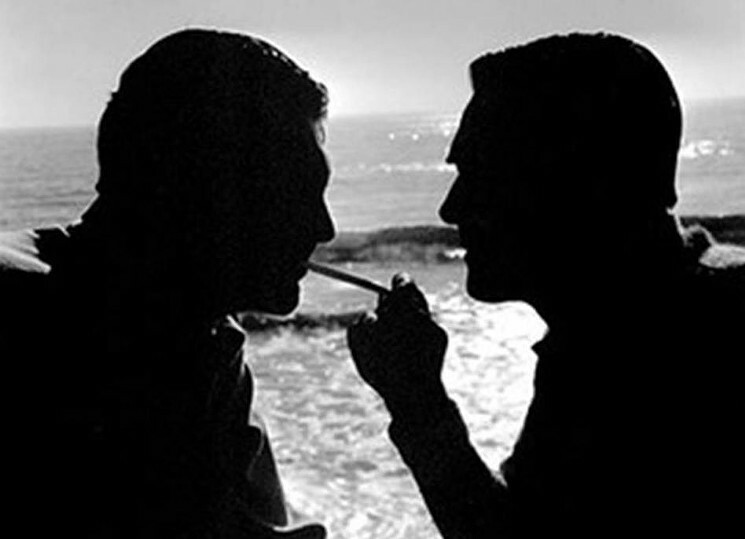 Maddox used various code words in his story that would identify them as a couple to gay readers. 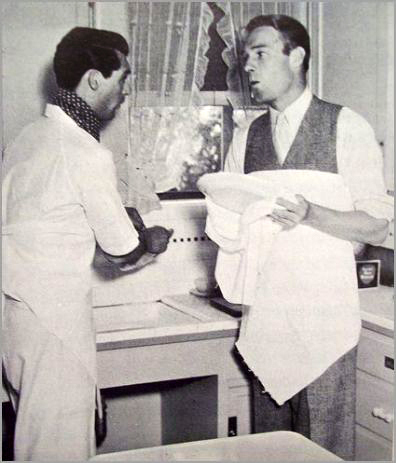 These photos of them wearing aprons were apparently too much for heterosexual columnists who ridiculed the two men and implied that there was “something” between them. 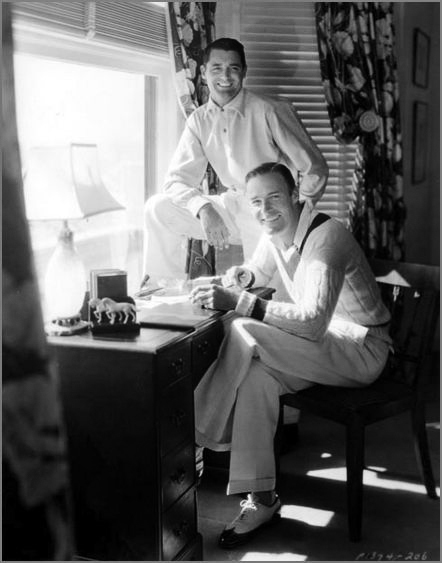 In 1934, the studio “encouraged” Grant to marry in order to kill the gay rumors that were swirling around the two young actors. 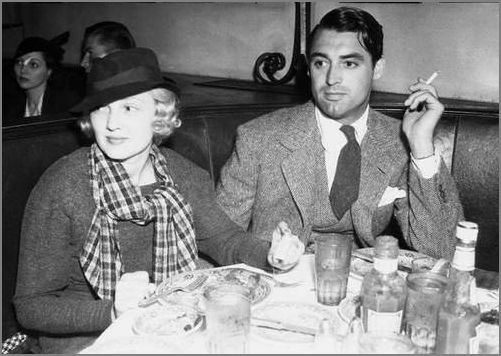 In February of 1934, he married Virginia Cherril and 13 months later she divorced him, claiming that he had hit her. Virginia also said the Grant was constantly drunk and sullen and never showed any sexual interest. 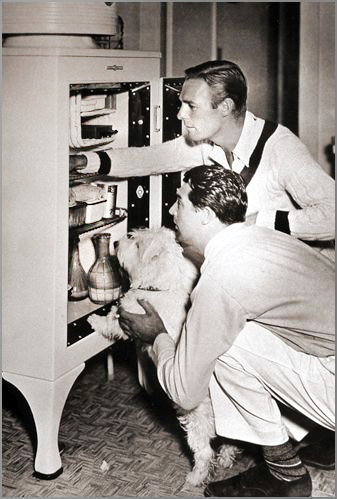 There is an unconfirmed rumor that Cary had been so depressed by his situation that he even attempted suicide. An attempted suicide was something that the studios would have done everything in their power to hush up; so that may be why there is no real evidence of it happening. 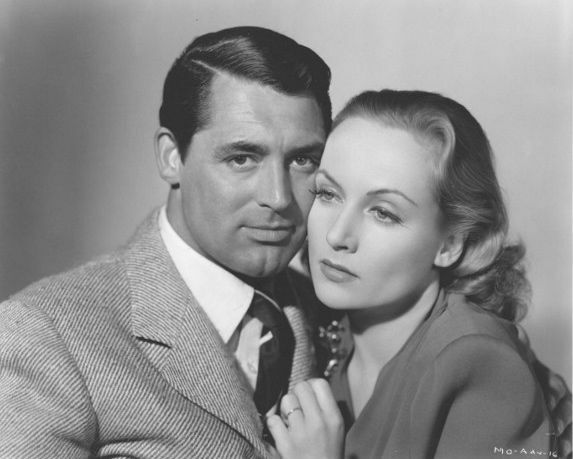 Their good friend, Carole Lombard, when joking about Grant notorious cheapness said "Their relationship is perfect. 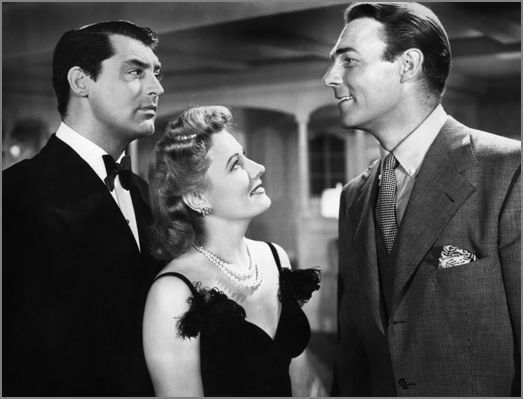 Randy pays the bills and Cary mails them.” Between the two of them, they had 7 failed marriages, but they were most likely marriages of convenience. 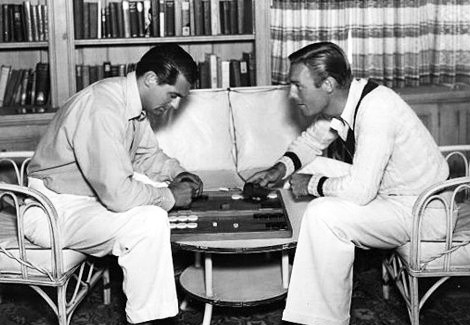 Cary and Randolph remained extremely close their entire lives. 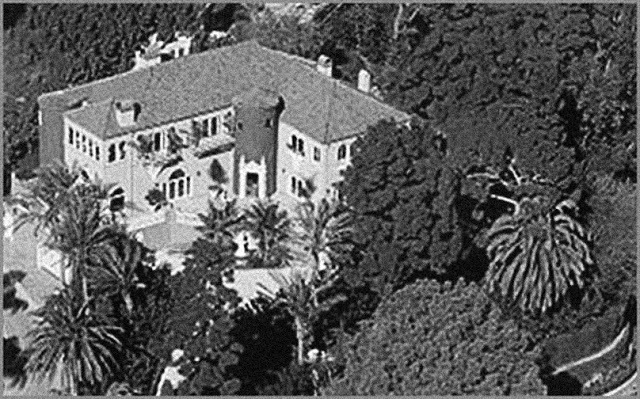 The maître d' at the Beverly Hillcrest Hotel saw both actors in the 1970s, sitting in the back of the restaurant, long after the place had emptied. 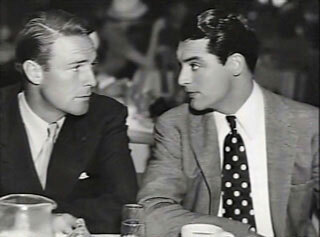 Cary Grant and Randolph Scott were sitting alone, quietly holding hands.